Under these circumstances it is my solemn duty to inform you that it is not possible for more soldiers to pass through Baltimore unless they fight their way at every step. DEAR SIR: Since I wrote my last of this date I have been informed that the Baltimoreans and Marylanders have destroyed the whole of the bridges on the Northern Central. This seems to have been a mere spite action and must convince the Government that those loyal to the Government in Maryland are in a vast minority. As soon as the capital is safe from attack it seems to me that the Government should at once turn on Baltimore and place it under martial law and require that it should pay all damages to the railroads it has destroyed and to their business. The board of police was arrested this morning at 4 o'clock. Troops have been stationed at the principal squares of the city. All is perfectly quiet. We greatly need cavalry for patrol duty. FORT McHENRY, August 25, 1861. FORT McHENRY, August 31, 1861. There is no doubt that a majority of the Union men in Baltimore desire the suppression of all the oppsition presses in the city but there are many -- and among them some of the most discreet -- who think differently. The city is now very quiet and under control though my force is smaller than I asked. There is a good deal of impatience among some of the Union men. They wish to have something done. The feeling is very much like that which prevailed in Washington before the movement against Manassas. It would not be difficult to get up a political Bull Run disaster in this State. If the Government will give me the number of regiments I ask and leave them with me when I have trained them to the special service they may have to peform I will respond for the quietude of this city. Should the time for action come I shall be ready. In the meantime preparation is going on. Baltimore, Md., September 4, 1861. 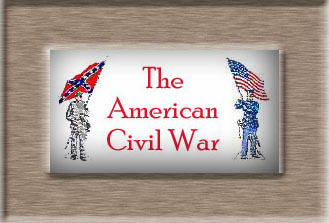 If there is an uprising on the Eastern Shore under the influence of the rebel organizations in Accomack and Northampton, or if the Confederate forces cross the Potomac we may have trouble. I shall endeavor to be ready for it whenever it comes. Baltimore, Md., September 5, 1861. Honorable W. H. SEWARD, Secretary of State. DEAR GOVERNOR: I thank you in the name of every truley loyal man in Baltimore and in my own poor name too for your arrest of the traitors whom you have sent to Fortress Monroe. A great and a good work has been done. Rebellion has received a staggering blow. I hope General Banks will take care that the Legislature shall not sit at all. There are thin-skinned Union men enough who will seek to get a quorum for the sake of the $4 a day. General Kimmel is one of them. He told me a day or two ago he wanted to have a chance to pass his foolish resolutions. I bade him take up his musket rather and go to the field. A Mr. Hodges here told me last evening that any amount of money could be raised to continue the "Exchange," but said he, "What's the use? We can't get it through the mails." I still think they will try to keep it up just for a vent of their spleen and sinister designs. Our provost-marshal, Mr. Dodge, whom I have just left, is anxious to have it bought up by the Union men but that's impossible. It is in debt some $40,000 and would be worth nothing to the Union cause because all its supporters are rebels who would instantly withdraw. My own judgment is that it should be suppressed out and out if it is continued. The "South" [newspaper] has stopped after trying to get up a Polignac revolution. May's arrest has caused infinite pleasure because of his hypocrisy and malignancy. The effect of these arrests must determine very rapidly the status of the floating population who are ever on the watch for the stronger side. I have already heard of cases in our favor. I hope the Government will not release a single one of these prisoners let the circumstances be what they may. The effect upon the public mind depends largely upon firmness at this juncture. Baltimore, Md., September 20, 1861. SIR: I do not wish any searches made in private dwellings by the military. I prefer it should be done by the police. You have very properly reported to me the case of Doctor Henkle and I shall put it in the hands of the provost-marshal in Baltimore. I do not wish any persons to be stopped who have shotguns and who are evidently going on sporting excursions. They should not be detained or interfered with in any way. Your duty is to examine vihicles passing out of the city of Baltimore and suspected of having concealed arms or goods destinated to the disloyal States. MY DEAR JOHNSON: My belief is that the peace convention is defunct. Still I have taken measures to have them watched and will inform you promptly of any movement by them. MY DEAR JOHNSON: * * * In regard to the peace convention I still think it defunct; but it will be well not to be thrown off our guard and if there should be any indications of its revival I shall be informed of it. From present appearances there will be no opposition to the Union tickets either in this city or county. Much will depend, however, upon the turn of events. If the rebels should lick us or obtain any decided advantage over us the rebel sentiment here will revive. Otherwise it will remain cowed as it is now. I do not think it would be wise to cease making arrests entirely. Some evidence that the power is with the Government should be kept before the eyes of the discontented few. It has a most salutary effect. Baltimore, Md., October 10, 1861. SIR: I have carefully examined the papers in the case of Dr. A. C. Robinson and have some doubt about the expediency of allowing him to return to Baltimore until after the fall election -- say the 10th of November. He has been a very violent secessionist, and even through he should take the oath of allegiance and abstain from any act of hostility to the Government he would not consider himself precluded from a participation in the proceedings of his party in support of the peace ticket. He is not a dangerous man like Wallis but I would rather have him away from Baltimore for the next three weeks at least. It looks very much as though we should carry out ticket without any organized opposition. I am confident at all events that Maryland will be a Union State in November. Until then I think it would be wise to let those who have been active against the Government and have influence remain out of the State if they are not in it now. It is understood that Doctor Robinson is in Richmond at this time though he may be nearer home. If you will allow me to suggest a course in regard to his friends seeking his release it would be not to discourage them but to hold out the expectation that he will be permitted to return shortly on taking the oath of allegiance, and it ought not to be less than the one prescribed by Congress. NEW YORK, October 11, 1861. MY DEAR SIR: The result of the election in Baltimore proves the wisdom of the action of the Government in having the prominent traitors arrested. Even the secessionists in Western Maryland are reconciled and even approve it for they dread civil war within the State. At the same time, however, I learn from a very reliable source in Allegany County that a secret movement is on foot by the peace party, i.e., secessionists in disguise[,] to nominate an opposition ticket; and for the purpose of defeating the Union ticket the commissioners, nearly all secessionists, have lately had a meeting and appointed the rankest secessionists as judges of election. I mention the name of one so appointed for Cumberland, W. O. Sprigg, well known as a rabid secessionist, having a son in the rebel army. Amongst the opponents of the Government the foremost in Allegany County are Judge Perry and Doctor Fitzpatrick. The former appointed young Brien, now an officer in the rebel ranks, foreman of the grand jury and permitted him to come into court with a large secession badge on his breast. I mention this fact as a glaring instance of his proclivities. He and his Confederates[,] Doctor Fitzpatrick, W. O. Sprigg (who I believe has also a son in the rebel ranks) and if I mistake not Devecmon, the lawyer, are the head and front of the secret movement now going on. They are in constant communication with the rebels in Virginia and are doing all the mischief they can. Now it seems to me these people should for a while be placed where they can do no harm. If the Government could be made aware of the state of things I think they should give these gentlemen free quarters at Fort McHenry or Fort Lafayette from now until after the election. 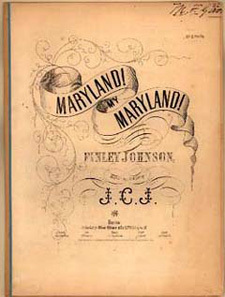 The quiet and safety of the State of Maryland would be promoted by such a proceeding and an election result obtained which could not but have a most beneficial effect upon the whole country. Commanding Division, Muddy Branch, Md. GENERAL: There is an apprehension among Union citizens in many parts of Maryland of an attempt at interference with their rights of suffrage by disunion citizens on the occasion of the election to take place on the 6th of November next. In order to prevent this the major-general commanding directs that you send detachments of a sufficient number of men to the different points in your vicinity where the elections are to be held to protect the Union voters and to see that no disunionists are allowed to intimidate them or in any way to interfere with their rights. He also desires you to arrest and hold in confinement till after the election all disunionists who are known to have returned from Virginia recently and who show themselves at the polls, and to guard effectually against any invasion of the peace and order of the election. For the purpose of carrying out these instructions you are authorized to suspend the habeas corpus. General Stone has received similar instructions to these. You will please confer with him as to the particular points that each shall take the control of. Baltimore, Md., November 1, 1861. Inspectors of Election, New Windsor. I consider it of the utmost importance that the election should be a fair one and that there should be no obstruction to the free and full expression of the voice of the people of the State believing as I do that it will be decidedly in favor of the Union. But it is in the power of the judges of election under the authority given them to satisfy themselves as to the qualifications of the voters -- to put to those who offer to poll such searching questions in regard to residence and citizenship as to detect traitors and without any violation of the constitution or laws of Maryland to prevent the pollution of the ballot boxes by their votes. [Substance of a memoranda of an order issued by Major Andrews, of the Second Delaware Volunteers, to Captain Moorehouse of the said regiment, under which order Mr. E. K. Wilson, of Snow Hill, Worcester County, was arrested.] "The memoranda states in substance that -- All persons who have lately uttered expressions of hostility to the Government or have spoken disrespectfully of the President of the United States are to be arrested and detained in camp." [Dix corrected the military officer]: "Our mission is not to annoy or invade any personal rights but to correct misapprehension in regard to the intentions of the Government." SEWARD to JOHN S. KEYES, Esq., U. S. Marshal, Boston, Mass.